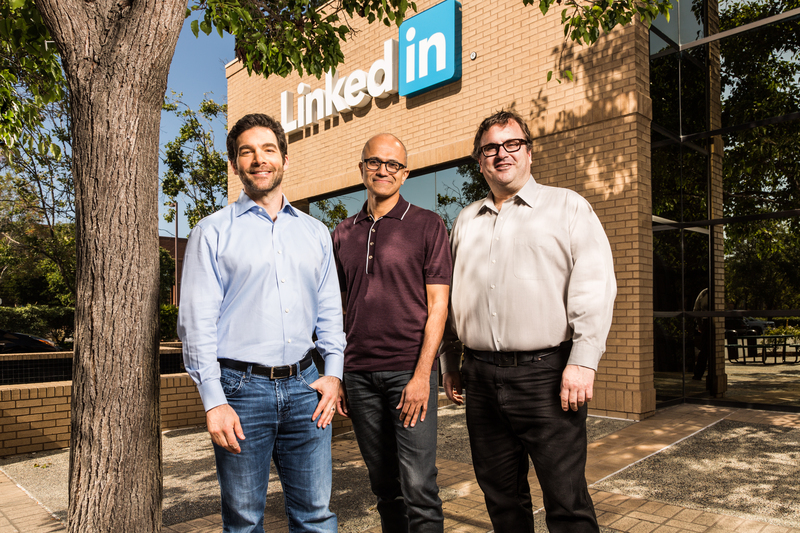 Microsoft has today announced it will acquire LinkedIn for $26.2 Billion in an all-cash deal. The deal was announced today, which will see LinkedIn retain its brand, culture and independence, while its CEO reporting to Microsoft CEO Satya Nadella. LinkedIn, which has a user base of 433 Million users has come under scrutiny in recent times over what was seen as sluggish growth which battered its share price. The service has been on acquisition spree in recent years as it chases growth in various platforms. In 2013, it acquired Pulse, a news-reading application at a time when the company was looking to become a professional news publishing platform. It also sought to make some of its core offerings standalone services. In 2015, LinkedIn rolled out Job Search, an iOS and Android app, that allows users to search through the network’s many job listings and apply for positions from within the app. Others included LinkedIn connect an app devoted to the art of networking, Recruiter which is a recruitment app, Slideshare which is a presentation App. There was also the acquisition of online learning platform called Lynda.com in 2015. Microsoft will add LinkedIn to its growing Productivity and Business process segment, as the firm bolsters its enterprise segment going forward. With the large number of professionals on LinkedIn this seems like a timely addition.